Belmont University announced today that its current College of Visual and Performing Arts will be separated into two distinct colleges with defined areas of focus: the College of Music and Performing Arts will include all music, theatre and dance programs while the O’More College of Architecture, Art and Design will house architecture, art, fashion, interior design and design communications. The structural change, which will be effective August 1, comes on the heels of the O’More College of Design’s merger with Belmont in 2018 and last month’s announcement that Belmont is launching Middle Tennessee’s first Bachelor of Architecture degree. In February, Belmont announced plans to launch the first Bachelor of Architecture program in Middle Tennessee and only the second in the state. 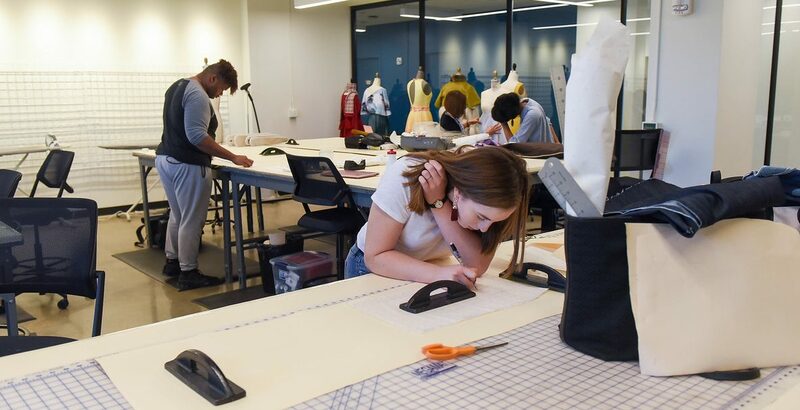 The five-year degree, which will begin classes in Fall 2020, will provide graduates a direct path to pursue licensure in their field while also filling a significant gap for architectural education in Nashville and the surrounding area. Moreover, following Belmont’s 2018 acquisition of the O’More College of Design, the University has the foundation in place to form a world-class program. Dr. Stephen Eaves, who has served as dean of the College of Visual and Performing Arts since 2016, will transition to become the Dean of the College of Music and Performing Arts. Belmont will immediately begin a national search for the inaugural Dean of the O’More College of Architecture, Art and Design with the intention of having the new dean in place before the start of the Fall 2019 semester.